With rapid growth, urbanization, rising incomes coupled with rising immigration, the one service which is going to face the most stress is the Indian Railways. As more people move away from their villages and towns to cities, often miles away - they will use the railways to meet family often. As their incomes rise, their visits - both back home to family and leisure related - will rise. As I have argued in past, in addition to the current network, India needs a parallel high speed railroad network connecting major hubs and based on completely new technology. This will help take the load off the current network from long distance point-to-point services. It will also make traffic between long distances faster and hence, the journey, more bearable. Modernization: Railways need modernization in almost everything, from signaling systems to tracks (read: train speeds) to toilets. Where will the money for this come from? Let's face that fares are going to rise, whether due to modernization or due to hidden costs of not modernizing; for example cost of accidents or the cost of spare part inventories, or increasing cost of cleaning staff employed by Railways. It is a choice of what route to take in using the revenue that comes from fares. Privatization: Already large set of services in railways is actually in private hands. Catering for example is in hands of IRCTC which in turn hands over contracts to private contractors. Then why not explore the option of privatizing some trains altogether? Just like the government dis-invests its stake in certain public sector units, why can't the railway dis-invest certain trains, like the premium ones - Rajdhani, Duronto, Shatabdi? This can bring in some disinvestment money to railways which can be used in modernization and also help bring some world class amenities to Indian trains such as on board WiFi, working lounges, premium dining cars etc. That thought brings me to my last point - Indian Railways needs to get into premium services which will not only add pleasure and comfort to rail travel, but help railways make more money which can be used to fund the deficit from running subsidized services. Such premium services can range from adding an AC coach to local trains to adding a dedicated dining and working lounges to long distance trains or simply adding a slick Coffee Shop to select coaches in intercity trains. Railways is possibly one infrastructure element which helped India most in its formation years; the nationalization of railways in 1951 not only helped industrial growth but most importantly in national integration by aiding in seamless movement of peoples across states. 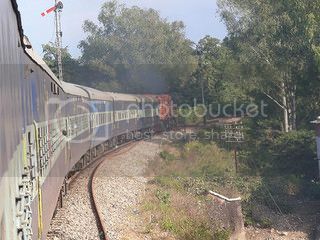 India entered its second phase of development post 1991 - however Indian Railways has not evolved much except some half-hearted incremental changes such as starting irctc.co.in or experimenting with Bio-toilets in some trains. It's high time that railways underwent a more revolutionary transformation helping the nation in its next phase of development. 0 Comments to " Indian Railways' need for urgent reform "